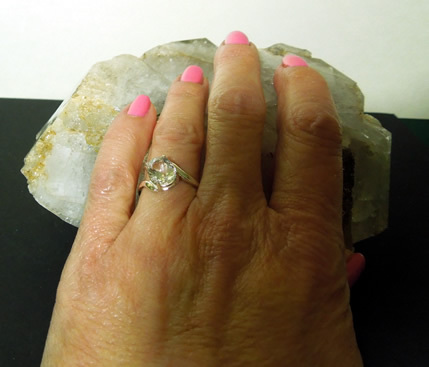 Notes: This water clear oval cut Herkimer Diamond makes an unusual engagement ring. 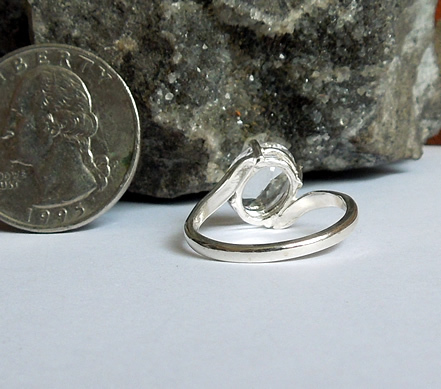 The machine faceted quartz crystal measures 10x8 mm / 3 ct. 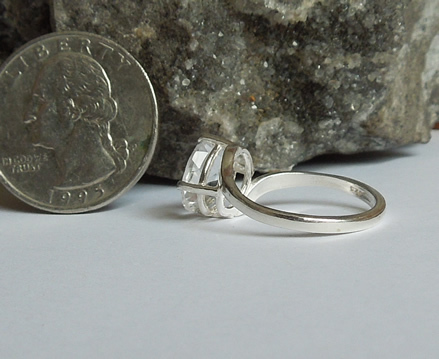 It is set in a size 7 sterling silver offset ring setting. 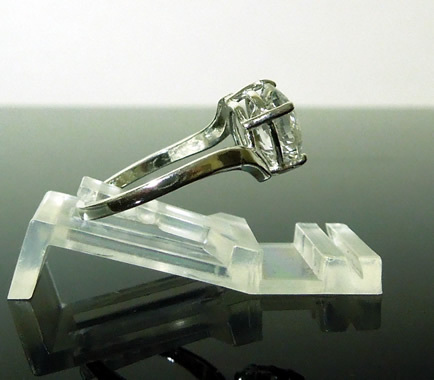 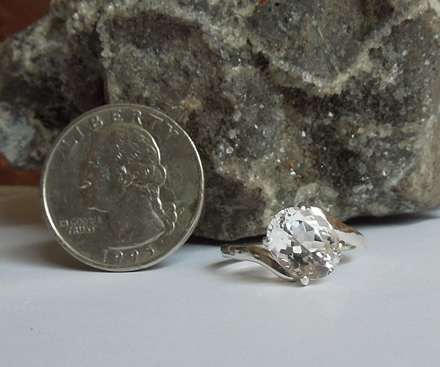 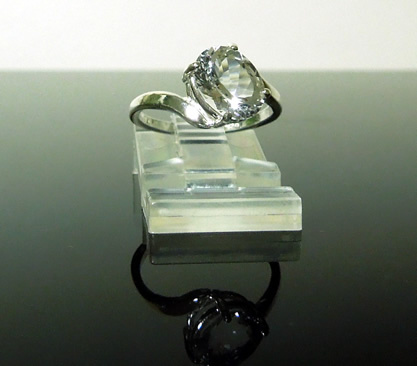 An offset oval cut Herkimer Diamond engagement ring.